Obituary for Annie Laura Mills | Marcus D. Brown Funeral Home, Inc.
Mrs. Annie Laura Mills, 96, formerly of North Carolina, passed away on Wednesday, December 5, 2018 at Ellenburg Nursing Center. 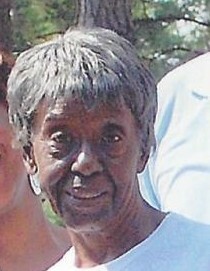 She was born in Anderson, SC on January 26, 1922. She is survived by Michael Adams of Atlanta, GA and Andrew (Angie) Adams of Anderson, SC; a loving cousin, Nettie Ruth Thomas; and a host of relatives. She was preceded in death by her husband, Bennie R. Mills and her mother, Mary Beaty Arnold. ​The funeral service will be held at 12:00 p.m. on Thursday, December 13, 2018 in the Ollie Robinson Brown Memorial Chapel of Marcus D. Brown Funeral Home. The interment will be held at 11:00 a.m. on Friday, December 14 at Forest Lawn Memorial Park in Hendersonville, NC. View service detail tab for directions and public viewing times.